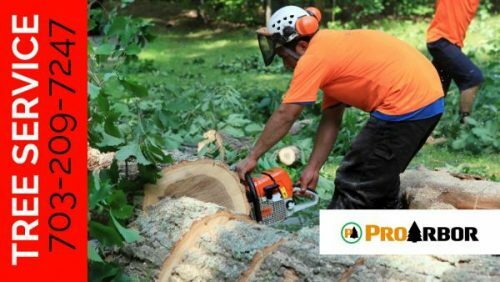 Pro Arbor Tree Care Professionals tree service range from existing tree maintenance, tree pruning, tree trimming, and tree removal. Serving homeowners in Manassas and throughout Northern Virginia. February is the month that arborists in the Mid Atlantic advise their clients to prune Crepe Myrtles. The reason for this is just as much that arborists do not have much to do in February as it is that February is an ideal time to do it. Pro Arbor, a premier arboriculture firm that maintains some of the most valuable properties in the country, is advising all owners of Crepe Myrtles in the matter of their winter maintenance. Technically speaking, it is not always necessary to prune Crepe Myrtles. They can be pruned for structural improvement, form management, clearance, or accelerated bloom. There has been a trend in landscaping and property maintenance to drastically cut them back to bare trunks at a height of about six feet (conveniently the height that a sawyer can reach). Although the plant grows back from this point, it does so by sprouting massively from near the point of the cut. The resulting shoots bloom, but cannot support the weight of the bloom and bend over causing an undesirable look.
" target="_blank">Tree Service Contractor Manassas VA) explain how to properly prune Crepe Myrtles. Owners of Crepe Myrtles should consider what they want their specimens to look like in summer and convey that to an arborist. It may be that pruning is necessary to achieve the right look. If so, then it must be done while the tree is dormant. February is a great time to do it because they are always dormant then. Our tree service range from existing tree maintenance, tree pruning, tree trimming to total tree removal and even in an emergency. At Pro Arbor Tree Care Professionals we add value to your landscape by offering friendly, affordable, safe, and environmentally friendly arborist – tree services. Serving homeowners throughout Northern Virginia and Washington DC.